It all comes down to one tale, one simple tale – the scorpion and the frog. Rich Mauro was the frog. He had hopped through obstacle after obstacle, struggling to overcome tragedy. But no matter how far he went, he recoiled back to those dark waters lashing himwith past and future. He was drowning. She could not save him. As he clung to the want and hope of having her forever, he allowed the one he knew to be dangerous from the beginning to ride across his back. And the stinger was ready to strike. There was no going back. There was no going forward. There was no prison break. Once in, he would never get out. They did not have to pay that price. He would save them. He thought he had saved them, but as darkness enveloped him, he knew he was wrong. The cards of fate were not dealt in his favor, and maybe, they never were. And anguish and pain were the remains of promise and hope lying crippled and broken across cold cement ground. There was no going back. There was no going forward. There were just five lives obliterated by Fifteen Digits. Fifteen Digits is a high velocity ride biting at the heels of the Reservoir Dogs. Its twists and turns will ensnare your mind and heart, steal your breath away, and leave you reeling in the end mirroring The Usual Suspects. Nothing is black and white. 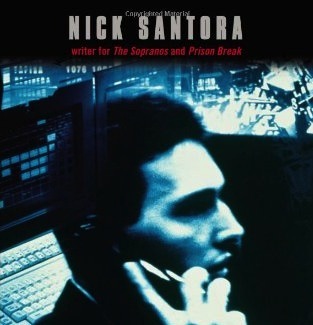 Suspect everyone for like in The Score, nobody is who they appear to be in this mesmerizing tale of crime written by Nick Santora. Melissa R. Mendelson is a published author and poet with publications both online and in print. She is also a New York State Employee. She has three books out on Amazon and Amazon Kindle that range from Supernatural to Horror to Science-Fiction.